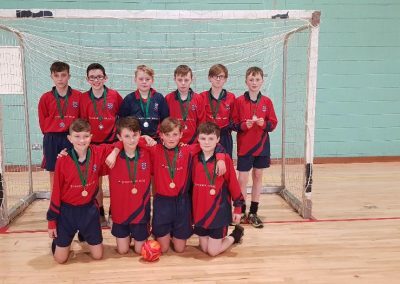 It was another successful day for St. Paul’s Olympic Handball teams in Gormanstown with all four of our teams having reached the Meath Finals. Each team started with a semi-final game. First up, our U11 girls’ and our U11 boys’ took on Skryne N.S. both games were close encounters and St. Paul’s displayed some great skills but were unlucky to lose out to very strong Skryne teams. 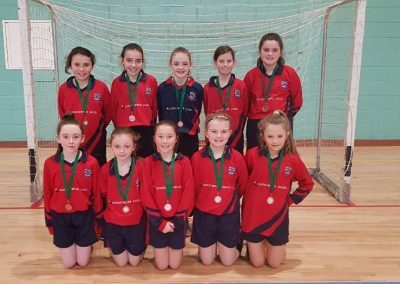 The U11 girls played Carnaross N.S. in the play-off game for 3rd place and played their hearts out. 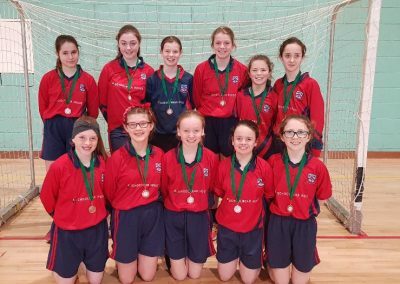 They beat Carnaross to secure their 3rd place medal. 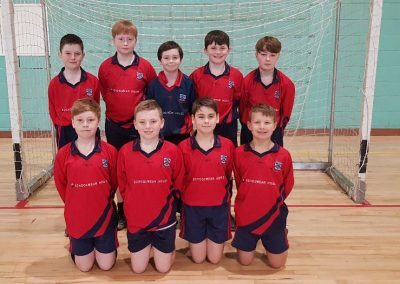 Our U11 boys faced St. Anne’s N.S. in their play-off game but were very unlucky to lose out to a very determined St. Anne’s team. The boys finished 4th place in Meath. Our Senior Boys’ Team were up next to play Skryne N.S. in their semi-final. With a great display of teamwork and skills the boys secured their victory and a place in the Meath Finals. Here they played Yellow Furze N.S. The game was very fast paced and end to end scoring. The boys were beaten by narrowest of margins, a goal, to come 2nd in Meath and qualify for the Leinster Finals. Our Senior Girls Team met Yellow Furze N.S. in their semi-final with the game staying level with one a piece for much of the game. The girls showed great skill and determination but were very unlucky to lose out in the dying minutes with a goal for Yellow Furze. The girls finished 3rd in Meath. We are very proud of all the children and the work they put in to reach the Meath Finals. Thank you to all their coaches for giving up their time to train the teams.